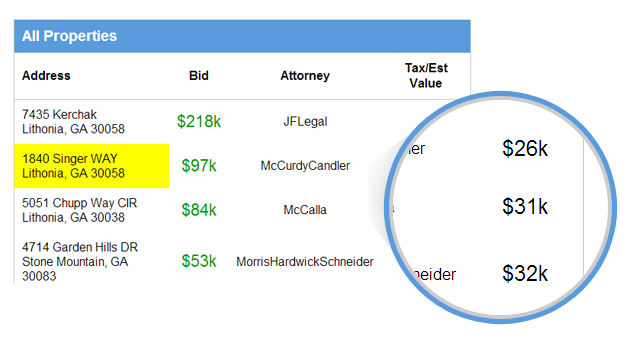 Recieve new bids every 12 hours as they are posted to each attorney's site. No more visiting ten different websites, receive all bid data directly via email. As properties are removed each month you will see this properties highlighted in yellow. 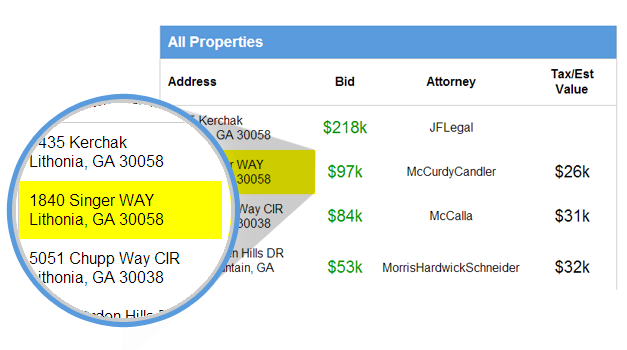 No more triple searching each attorney site to verify if a property has been dropped for the current month. Enable this option and receive actual Estimated Values for each property.